the budding chef ’s dreams became a reality, as she completed her full-time apprenticeship in Commercial Cookery. As the first ever apprentice to complete the extensive course at Nerang RSL, Ana will be recognised at the upcoming International Women’s Day morning tea at the Club. Ana first stepped foot into the Nerang RSL five years ago, as a School Based Trainee ready to study a Certificate III in Hospitality, but she soon realised that ‘the kitchen’ was calling her name and she couldn’t ignore her prevailing passion for food – so she made the switch to study Certificate III in Commercial Cookery! The long hours of study and hard work has certainly paid off for Ana, and she’s ecstatic to have reached the special milestone while also feeling humbled by the support of the Nerang RSL. 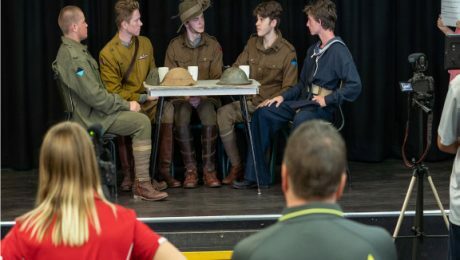 ‘After three years of study and work, I’m very happy to have completed my apprenticeship and its been great to have the support of Nerang RSL ever since stepping through the doors of the club five years ago,” she said. “I love being part of a team which is genuinely interested in helping me progress my passion and achieve my goals. It has made for a very positive environment, and, a workplace that I was excited to come back to each shift. 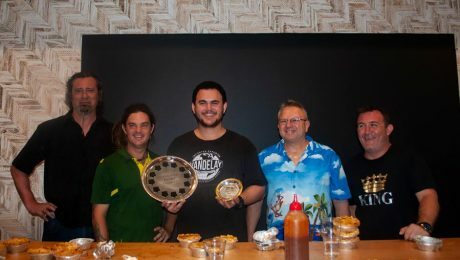 “I feel very lucky to have been guided by Nerang RSL Head Chef, Jason Blond, who has played a large part in my journey at the club. Jason has been extremely supportive and I’ve been able to ask questions, gain insight and learn first-hand from an established chef who believes in my passion and has pushed me to chase my dreams. Ana said she has enjoyed every moment of her apprenticeship, from the peaks to the challenges, and is excited for what the future holds. “Whether learning about standards of cookery and hygiene to applying my learning from my book studies and implementing my skill set when working at the club, I’ve thoroughly enjoyed my experience,” she said. “What stood out to me was the ability to be hands on throughout my apprenticeship. Jason frequently asked me to come up with dishes and provide input into the menu which gave me the opportunity to learn how to make a range of new dishes and gain greater knowledge about different foods. 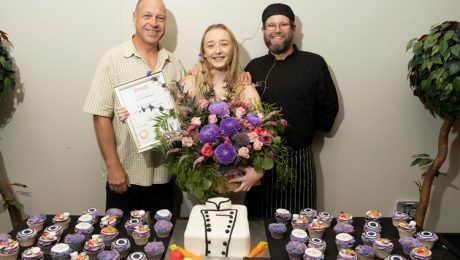 Nerang RSL Head Chef, Jason Blond, said he’s very humbled by Ana’s display of passion and dedication and is proud to see her accomplish the milestone. her journey to completing her apprenticeship,” he said. Having been in the industry for 29 years himself, Jason said it’s exciting to know there are budding chefs like Ana who want to learn and make their mark within the industry. “A lot of apprentices often come and go, so it’s one thing to get individuals to start apprenticeships but another to see them complete it. It’s a tough industry with long hours so you need to be passionate, dedicated and motivated and throughout her apprenticeship, Ana has shown she’s the making of all these aspects,” he said. Nerang RSL General Manager, Andrew McInnes, said the club has a focus on fostering the development of trainees and apprentices alike and is pleased to have Ana continue as part of the team. 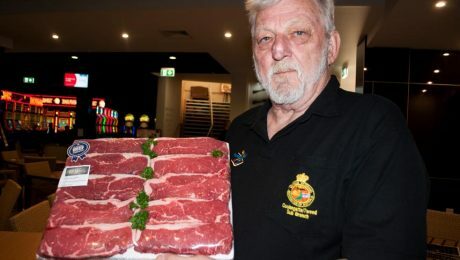 “We put a lot of focus on culture and long-term vision at Nerang RSL and strive to put the time and effort into facilitating opportunities that help individuals who want to learn and pursue their passion,” he said. 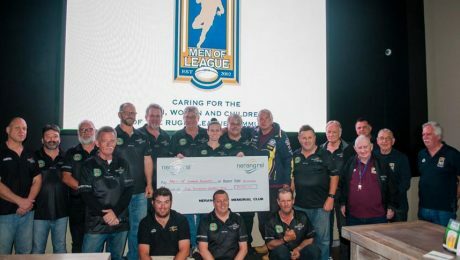 It was the warm weather, sunny skies and opportunity for a better lifestyle that encouraged Nerang RSL and Memorial Club member, Matt Ford, to make the move from the United Kingdom to the ‘land down under,’ six years ago. 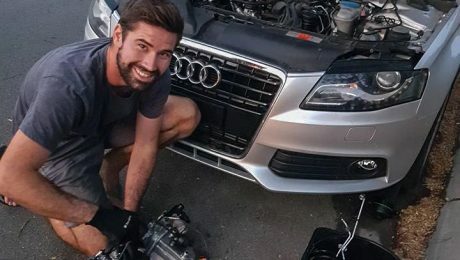 Calling the Coast his new home, Matt has become a regular face of Nerang RSL, and our resident car mechanic and we’re delighted to profile him in this month’s edition of The Stentorian. 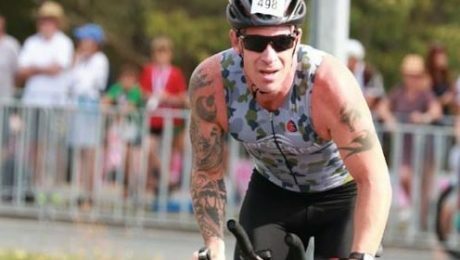 Matt first stepped through the doors of Nerang RSL four years ago, when he was introduced to the club through his partner, Amy, and her family. Since then Matt has become involved in many aspects across our club. 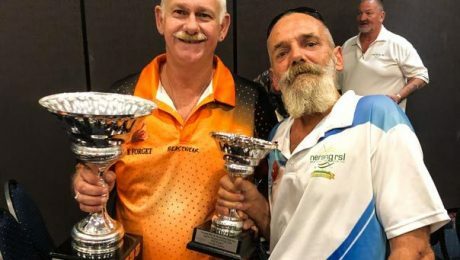 “I was thrilled to have been introduced to a place like Nerang RSL, it’s a fantastic club with great members and friendly staff who are always up for a chat,” said Matt. 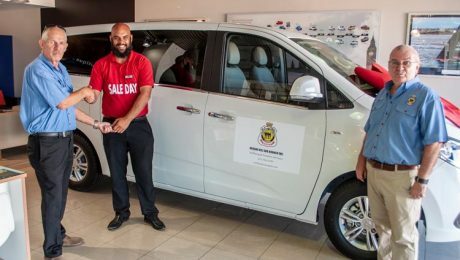 When he’s not hosting raffles and promotions around the club, or getting out in the sunshine to coach kids’ soccer, Matt is working his magic on cars across the Coast – through his locally run mobile mechanic business, Quik Serve Mobile Mechanic. “I started my business about two years ago and many of the staff members at the club found out and have been very supportive and keen to use my services, which is a great feeling,” said Matt. When asked what he most looks forward to after a hard days work, Matt says a visit to the RSL is always welcomed. the club whether it’s live music, games and promotions, or entertainment which makes for a fantastic atmosphere,” he said. “Not to mention the club’s pizzas and chicken wings… I really enjoy those too,” he laughed. What brought you to the Nerang RSL and what is your role? What is something you most enjoy about your role? What is something you would like to learn, or are looking forward to across your time at Nerang RSL? Are you involved in any other aspects of the club? In your spare time, what is something you like to do?